The SportHunter® 1825 helps you build a customized remote training system to guarantee the best performance from your dog. 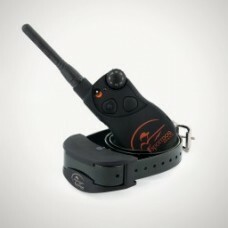 This electronic remote training collar features up to 8 static stimulation levels with low/medium/high stim ranges plus vibration and tone options. Control up to 6 dogs by adding SportDOG Brand® Add-A-Dog® collars.